Home » cake , Caramel Cheesecake , cheesecake , Dessert , desserts , drink , drinks , English Breakfast Tea , starbucks » Customized Tea Drink only from Starbucks! 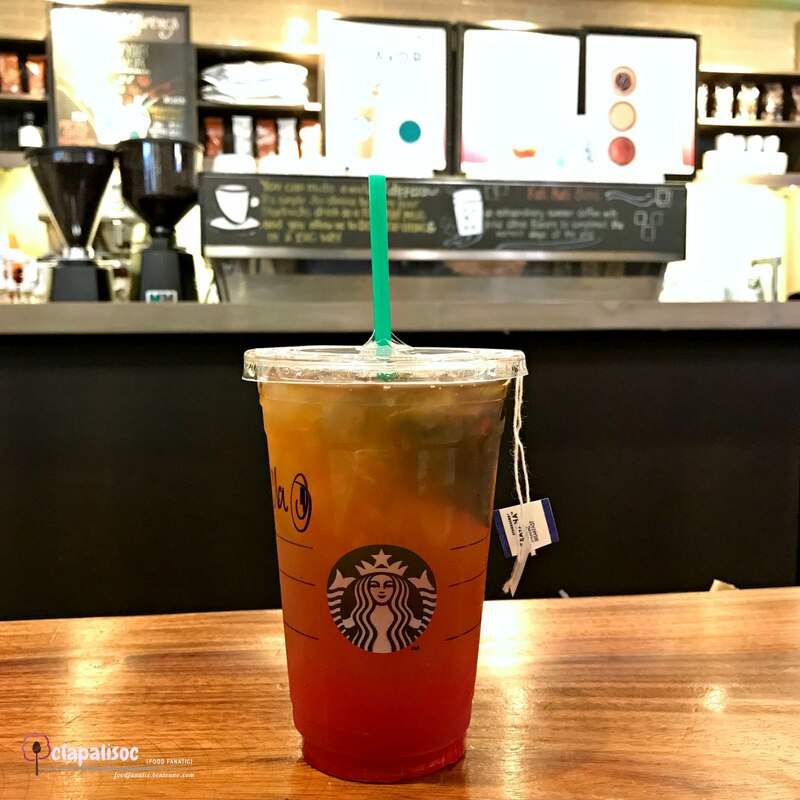 Customized Tea Drink only from Starbucks! When deadlines for work strike, I gotta go out of the house to work elsewhere so I can focus and get some serious work done. Being a WAHM (Work At Home Mom) is rewarding but lots of home chore temptations make me focus less about what I need to finish for work and dwell more on household tasks. So, when deadlines are pressing and work is pretty overwhelming, I opt to work in cafes. Free slice of cake for your birthday - use your registered SB card to purchase any beverage to claim. Valid for claiming within a month from your birth day. 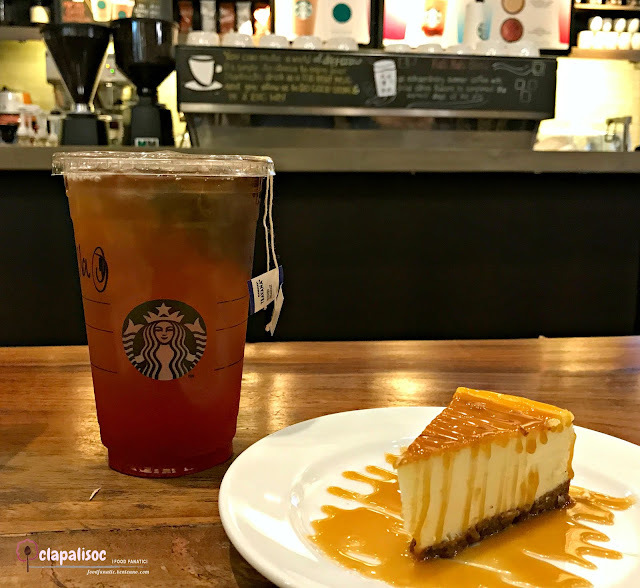 Starbucks in BGC Stopover is more often than not ideal. It's open 24/7, has long tables, lots of charging outlets and the baristas are friendly. It can get crowded and noisy sometimes but I don't mind. Tea in place of coffee. I stopped buying coffee from Starbucks just because I have developed an appreciation for coffee flavor and aroma. I find their's too burnt. I would order their frappes once in a while, when it's too hot or when I want some sugar rush but recently, I usually go here for tea - Green Tea, Chai Tea or just the simple Iced Tea. I usually get their Iced Shaken Hibiscus but this time I opted for the classic - Iced English Breakfast Tea, Venti, tea bags in. I was about to ask for 2 packets of honey but decided to experiment and asked what syrup they would recommend for me to add. The barista suggested Strawberry so I went for 2 pumps! The result? Pretty good! The strawberry syrup went well with the bitterness of the tea. I loved it! A slice of New York Cheesecake for my birthday! Also got my birthday month free cake and went for a slice of New York Cheesecake. 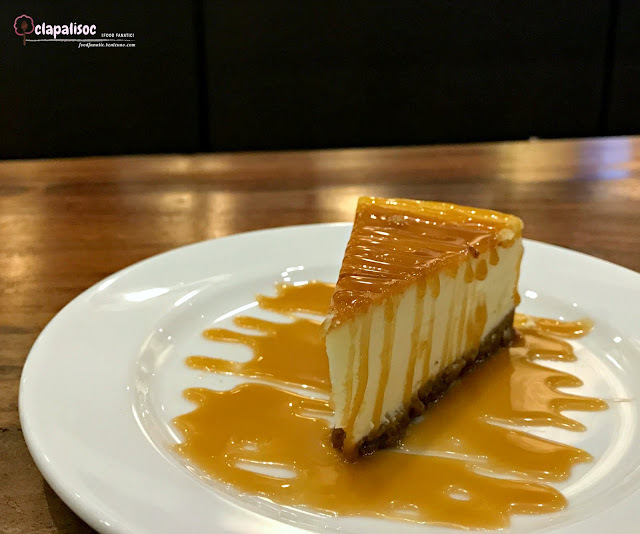 IMO, it's one of the best NY Cheesecakes in the Metro. Soft and smooth with a good tang from the cream cheese. Drizzled with LOTS of caramel sauce! 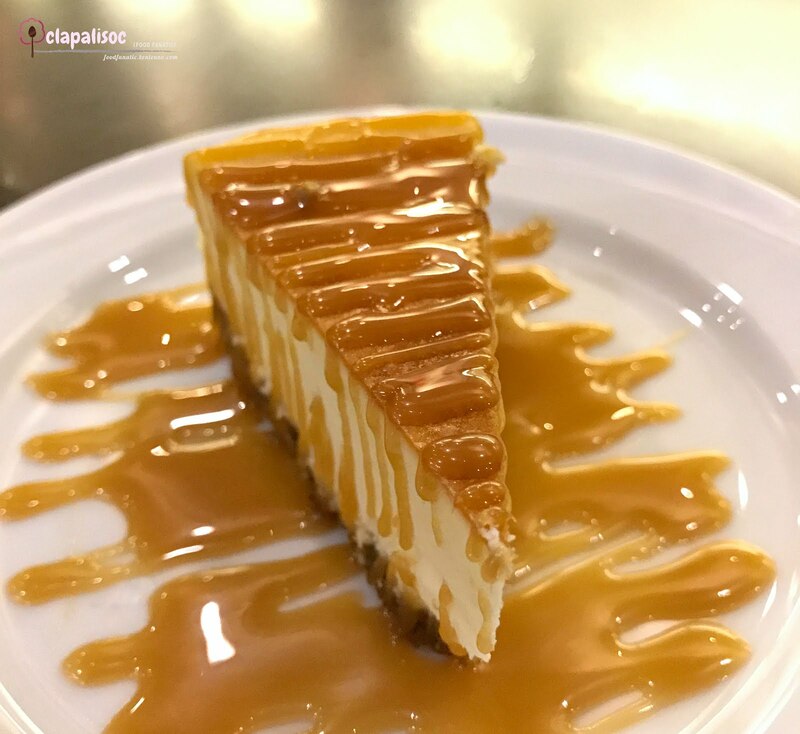 You have several options for this slice of cheesecake. Have it as it is or have it drizzled with some sauce. You can go for strawberry, chocolate or caramel. Asked for Caramel Sauce and was so glad they gave a generous amount. Just look at all that caramel sauce! A little too sweet but it was so good. Not really the type of caramel sauce that I usually want with my cheesecake, thick with burnt sugar flavor, but I'm not complaining. 4 out of 5 Stars for Starbucks! Rico Rico - Paella and Tapas Made Affordable!